So it's almost 2 months since my last session. They said that the last one might be my final but I really don't think it will be. There is good progress, there is a lot of fading. 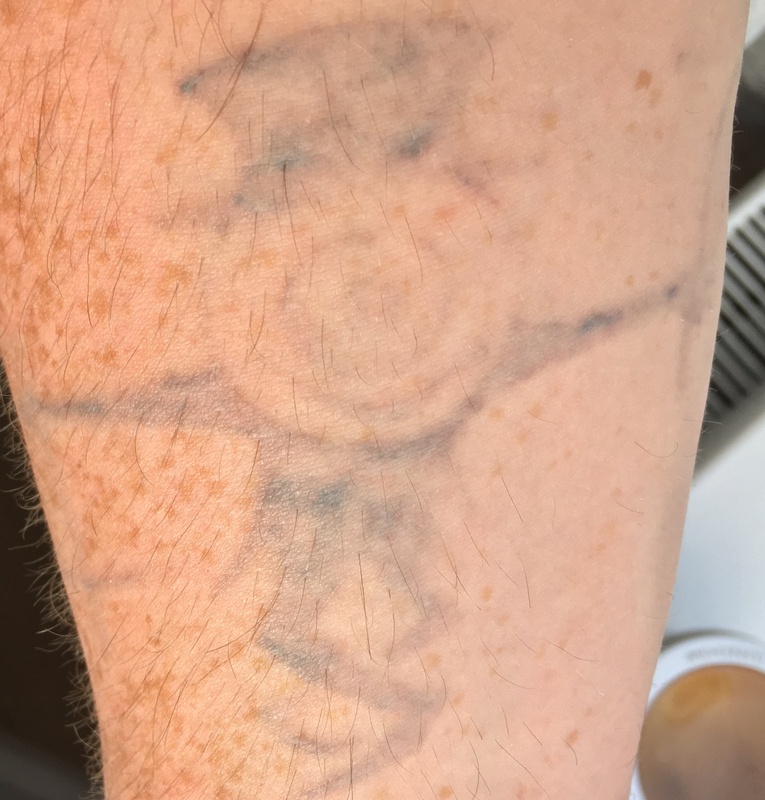 Sadly, I still have a tattoo. I had hoped it wouldn't live to see it's 16th birthday but it will. Many times now I have thought that it will be less than one year before it's gone and each time I have been wrong. I have no idea the impact here, it's possible that if I just wait it will eventually disappear. However I know that another session will speed this up greatly. I'm going to take my time, I think he said decide in August or September if I want another one, that's still more than a month away. It's possible that by the time my awesome tan fades I won't need another session. Looking at the photo you really can see how much it has faded. That's my arm with a tan by the way, in case how tanned I am isn't apparent. Factor 50 and avoiding the sun has once again given me a splendid tan. Among the best I have ever had. The tattoo turns 16 on 19 September. I am still hopeful it won't, but not confident. My next decision will be when is my next session. If this summer weather continues, I'll likely wait until October for the next session. That's still 3 months so there may be some significant progress by then.